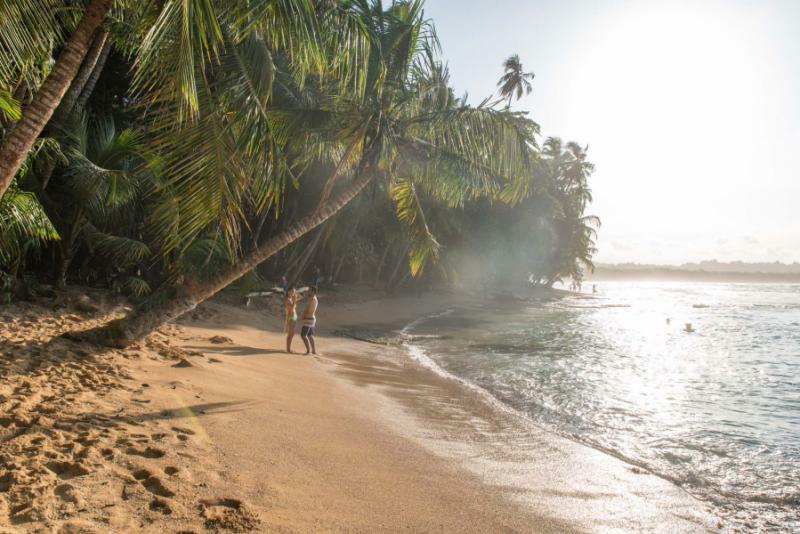 Prepare for the perfect proposal on a handcrafted Costa Rica vacation that offers a selection of pristine destinations at which to ask for your loved one’s hand in marriage. Blend comfort and exploration, romance and relaxation to create cherished memories emphasizing your affection. Gaze at waterfalls that perform stunning displays of power and passion. Take a horseback ride on a Pacific beach and bask in the colors of the sunset. Indulge in the rushing waters of thermal springs and then relax with citrus aromas during a coveted couple’s massage. 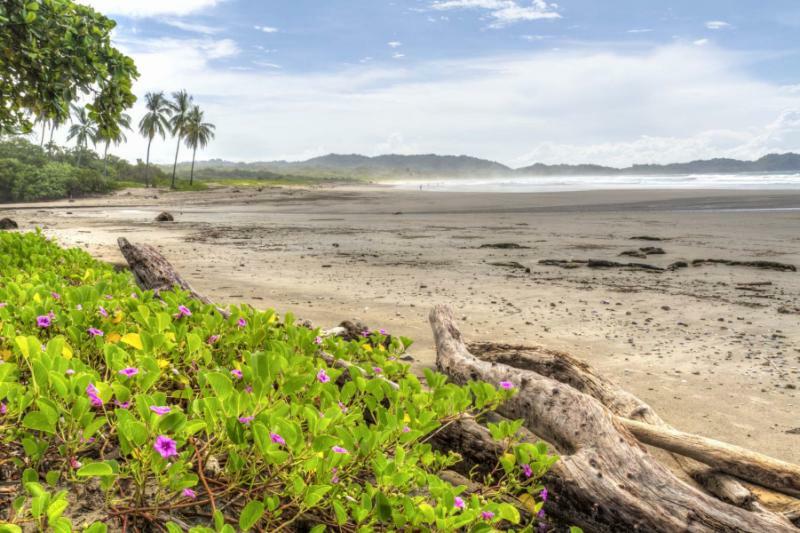 As you make your plans for this life-changing time together, browse all of our Costa Rica vacations for inspiration to build an itinerary that will celebrate your time together with extraordinary luxury in gorgeous natural surroundings. 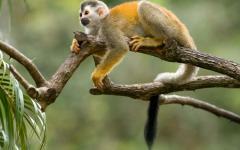 Embrace the spirit of surprise by planning the perfect proposal during your 10-day Costa Rica vacation. Your time together will feature romance and passion as you celebrate your past, present, and future. The journey begins with your arrival in San Jose at Juan Santamaria International Airport where your private driver greets you at customs and escorts you out of the capital city to a luxurious eco-friendly lodge offering a view over the Central Valley. Relax in the comforts of your private suite or return to San Jose to explore the historic city center at your leisure. Your guide greets you in the lobby of the hotel the following day, eager to lead you on an in-depth tour of a coffee plantation nearby. Finish your exploration with a coffee tasting where you will learn about the flavors you search for when drinking the popular beverage. Your driver meets you after the tour and escorts you to Arenal. After settling into the comforts of your resort, you can bask in the secluded and serene ambiance of the private hot springs. The next day you will travel through the trees, sharing in the feeling of flying on a zip line excursion. In the afternoon, you sample the delicious flavors and seductive texture of sweets on a chocolate tour. You have your first opportunity for a magnificent proposal tonight at the hot springs, featuring a private chef in a remote section of your hotel. 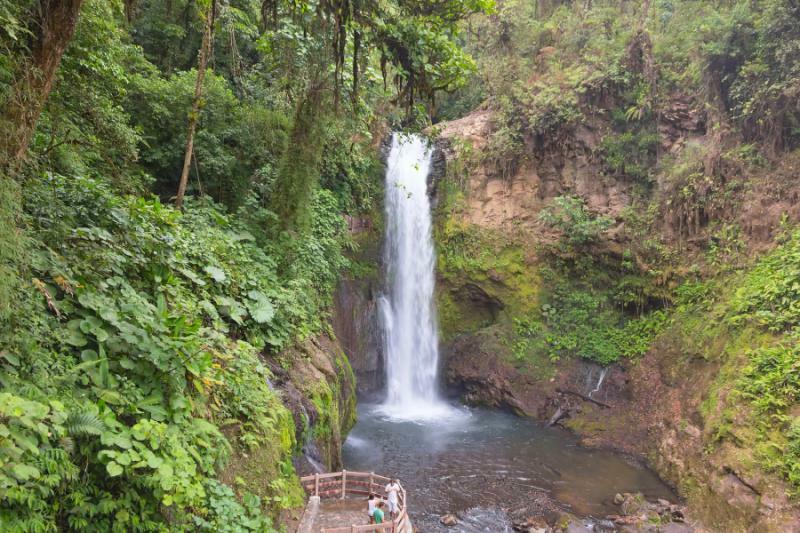 The following day, your private transfer escorts you through farmland to the foothills near the Poas Volcano and the brilliance of the La Paz Waterfall Gardens. Visit rehabilitating wildlife and view the spectacular cascades before reaching the luxury of your secluded lodge in Bajos del Toro. Begin the next day with a fabulous cultural tour of the community of Los Bajos del Toro Amarillo. View spectacular orchids and learn to make delicious tortillas. Continue on a private waterfall hike to visit the three cascades on the reserve connected to your lodge. You have your second opportunity to propose by surprising your loved one at one of the waterfalls, including the final waterfall known as “The Promise.” The romance continues as you travel northwest towards the Pacific Ocean. 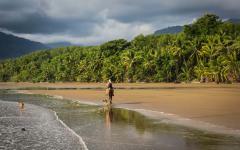 You spend time rafting on the Corobici River before reaching Nosara Beach. Take the time to relax on your private balcony and enjoy the view over the coastline and mangrove forest. The next day is at your leisure, and you can take time indulging in the marvels around Nosara Beach. Partake in a soothing couple’s massage or bask in the sunlight while floating in the infinity pool. You can also take the shuttle to the Playa Guiones or Playa Pelada. Search for the majestic wildlife hiding in the mangrove forest the next day, while following your guide on a paddleboard tour. The remainder of the day is at your leisure to relax and relish in your tranquil surroundings. The following day, you mount a horse for a sensational sunset tour on the beach. It is your third opportunity to surprise your partner with a proposal, waiting for the perfect moment on the sand as the sun fades behind the horizon. On your final day, your private transfer escorts you to Nosara Airport for your short charter flight to San Jose’s International Airport where you board your flight home. To learn more about what to anticipate, consider browsing reviews of our partner Costa Rica travel agents from our other travelers. San Jose is a city of charm and prestige, beauty, and activity. As the major urban center of Costa Rica, the city features museums and galleries, vibrant nightlife and seductive restaurants. Fruit markets on the outskirts of town have colorful outer walls and open doors featuring dangling bananas, ripe mangoes, enticing coconuts, and bushels of plantains. The city was founded in the 18th century and boomed with the introduction of coffee. A pleasant tropical temperature sweeps through the Central Valley at an elevation of nearly 3,700 feet. The Talamanca Mountains roll along the south with the Poas, Barva, and Irazu volcanoes rising along the north. The National Theater offers insight into to the prominence of the capital in the late 19th century decorating the Plaza de la Cultura. The preserved architecture features a marble entryway and sculptures framing elaborate murals adorning the interior. The artifacts in the Gold Museum represent the wealth of pre-Colonial indigenous tribes through a display of 2,000 objects filling three floors. Your flight lands at Juan Santamaria International Airport, where your private transfer greets you upon arrival. You make your way through the city to reach your luxurious in the Heredia Area on the outskirts of San Jose. Your private suite offers a stunning view of the ridges Central Valley ridges blanketed with emerald trees. At breakfast, you find the aroma of fresh mango and strawberries filling the open-air dining room. The birds twitter in the treetops, and you hear the beautiful song of the clay-colored thrush and the homonymous calls of the motmot. 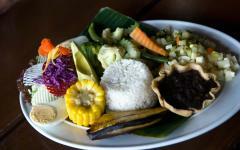 After the meal, you meet your guide who is eager to introduce you to a coffee plantation close to your hotel. During harvest, flowers blossom with five pristine white petals on the vine. They emanate the scent of jasmine, and your guide explains that the flowers are related to the jasmine family. You search the plantation for the familiar look of a coffee bean. Your guide points to the red buds on the branches that resemble berries from which the coffee beans come. The private tour offers an intimate, in-depth chance to learn about the process of growing organic coffee. Your guide explains the process of drying the beans and roasting them to release the proper oils, which accentuates the flavor. The scent of the roasted beans offers the comforting, familiar aroma that always fills the cafes at home. The tour ends with your guide heating water to a perfect 195 degrees Fahrenheit to brew the coffee. You sample the flavors to find a balance between of sweet, sour, slightly bitter. The fragrance of caramel and chocolate drifts from your cups. 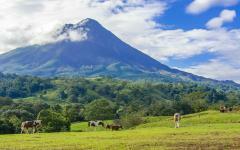 After exploring the plantation, your guide escorts you out of the Central Valley to reach Arenal. Your gorgeous accommodation provides access to the cozy, refreshing, and serene thermal baths that flow like a wild river through the jungle terrain where you can bask in the revitalizing waters in complete romantic seclusion. At breakfast, you practice finding the flavors of the coffee offered amidst the beauty of the surrounding rainforest. The sporadic clouds drift overhead passing by the perfect cone-shaped peak of Arenal Volcano. 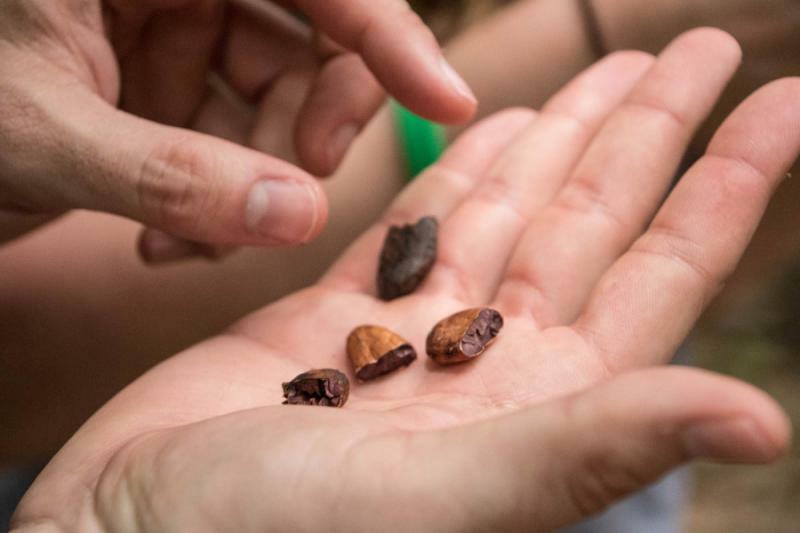 After experiencing the brilliance of the treetops with a zip line excursion, you make your way to a private farm to learn about the cultivation of chocolate in Costa Rica. The tropical ambiance highlights the beauty of the plantation and reminds you of the steps you have taken to reach the splendor of the rainforest. Pods grow dangle from the thick branches near growing cinnamon trees. 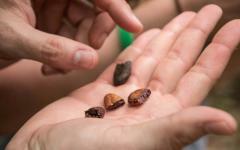 Your guide leads you to a small hut where you take turns trying to crack open a pod to release the cacao inside. A creamy, milky coating surrounds the beans. You sample the coating and find a tangy flavor and gelatinous texture. You learn the process of drying and aging the beans before roasting the cacao in a process similar to the process of roasting coffee. Your guide prepares for you a fresh, indulgent hot chocolate and you take part in crafting velvety dark chocolate by grinding the beans by hand. Take a spoon to the newly formed delicacy and sample the rich, seductive dessert that you helped to create. In the evening, you have your first opportunity to propose. Take the chance to ask the ultimate question at the hot springs with a private chef, server, and table in a remote location set to the romantic soundtrack of the rushing thermal river. Delight in a special dining experience to help crown the special night. 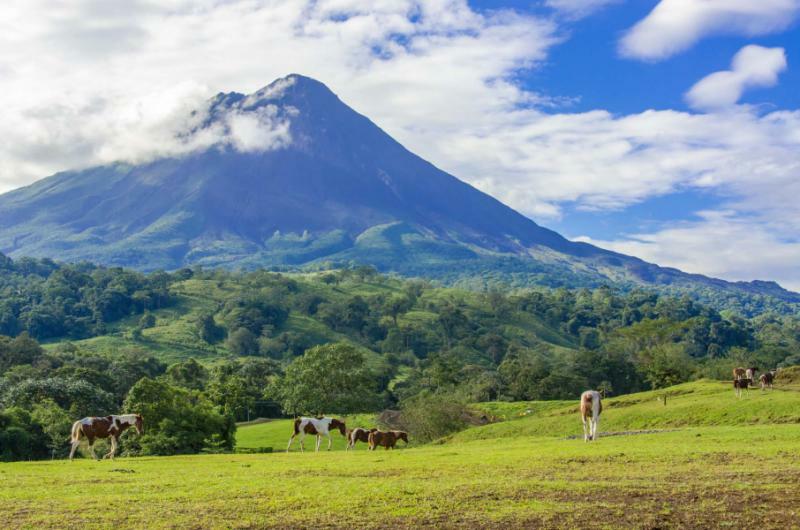 In the morning, you look out your window and take in the view of Arenal Volcano, the cone of which reaches a height of nearly 5,500 feet above sea level. After the meal, your private driver greets you in the hotel lobby and escorts you through the countryside to reach the La Paz Waterfall Gardens. You will pass dairy farms where cows graze on the vibrant emerald grass, and stop for a moment en route at the Iguana Bridge near the town of Muelle. Your driver points into the trees where large green iguanas grasp the trees. The reptile can grow to nearly five feet long and weigh up to 20 pounds. They blend in with the leaves until you focus your eyesight, and find several basking in the sunlight and hiding amongst the shelter of intermingling branches. You reach the beauty of the La Paz Waterfall Gardens located amongst cloud forest and rainforest and visit the aviary to stroll amongst the rehabilitating tropical birds. A curious keel-billed toucan watches you enter the aviary. 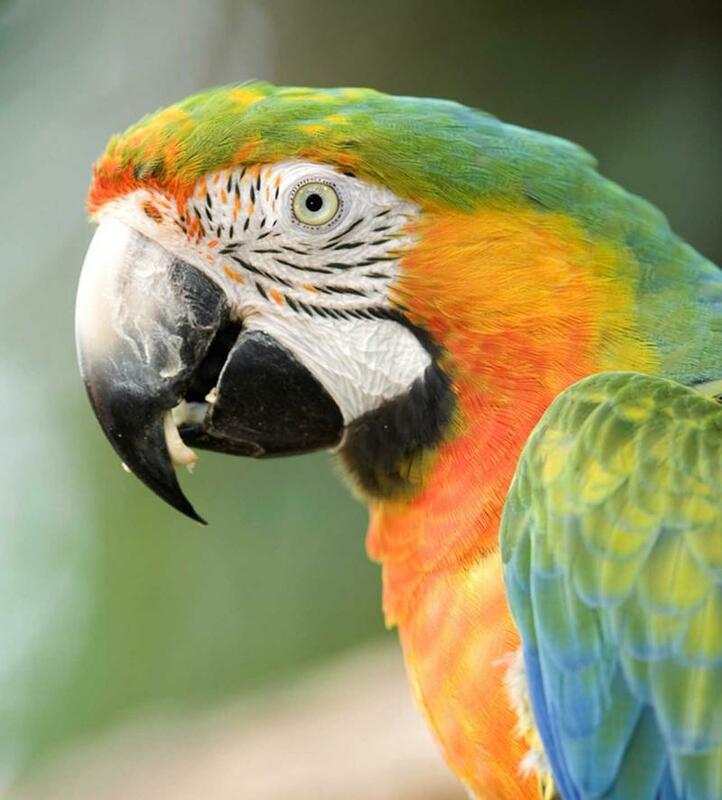 The bird is best known for its colorful beak that glows with shades of cherry, lime, and orange against its bright yellow breast. Wander through a hummingbird garden and explore the endless variety of butterflies in the largest butterfly observatory in the world. Blue Morpho butterflies shimmer with blue and silver hues as they flutter in elevations up to 5,900 feet. You reach the viewing platform for the La Paz waterfall, relishing the thunderous crash, rushing whitewater, and occasional mist that sprays upwards from the more than 120-foot cascade. The serene view from your suite frames the beauty of the tropical cloud forest. After breakfast, you follow your guide into town to learn about the daily life and customs of locals in the town of Los Bajos. You begin on a small estate shimmering with blooming orchids. 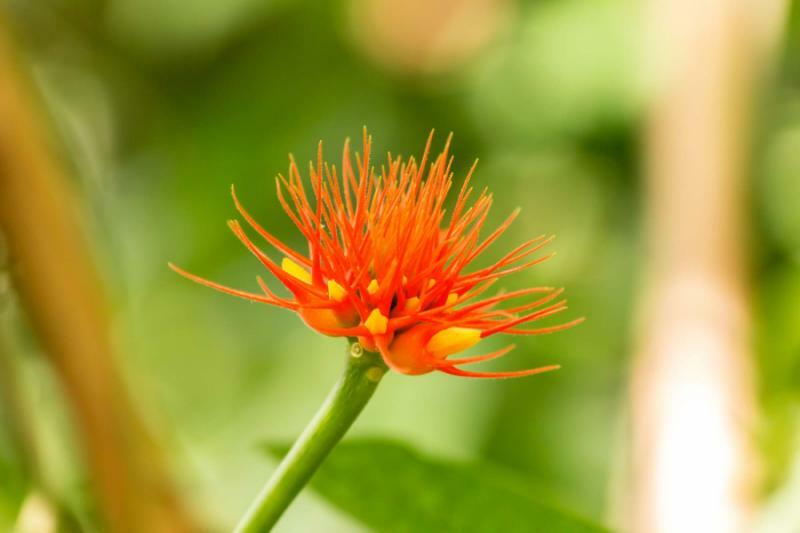 Your guide leads you along the narrow walkways in the orchid garden, teaching you about the variety of subspecies that capture the imagination of botanists, flora enthusiasts, and those with eyes for natural beauty. Golden rain orchids dangle from vines with small elegant petals spilling over the walkway like floral arches. 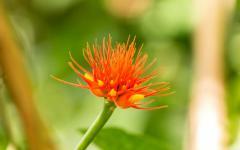 More than 1,400 species of orchids grow across Costa Rica. You find an orchid resembling a bromeliad due to the way its five leaves sprout from the center. The petals shine yellow and purple around the opulent white pistil. In the afternoon, the pleasure of your private walk through the sensational nature around Bajos del Toro takes you onto the waterfall trails winding along the 500-acre property of your resort. The sound of calling motmots and oriels accentuates the mystical setting. Your guide helps distinguish between the different bird calls and points to lingering prints of animals that have passed through the soil. You reach the last waterfall of the three, which is known as El Promesa, The Promise. The sound of the water splashing against the rocks and trickling into the waiting pool creates a tranquil, romantic setting. It is the perfect place for romance as you bend down on one knee against the backdrop of unspoiled wonder. At breakfast, you indulge on the sweetness of pineapple accompanied by the decadent flavor of freshly brewed coffee. 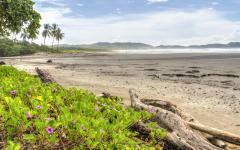 Your private driver collects you after the meal and escorts you to the northwestern region of Guanacaste, located on the Gulf of Nicoya. Before reaching your hotel overlooking the Pacific Ocean, you stop along the banks of the Corobici River. The water travels from Lake Arenal, passing through the lowland dry forest, and emptying into the sea. Three hundred types of birds nest along the edges of the waterway, along with various types of monkeys, sloths, and river otters. You step aboard the raft for a serene and scenic ride. Your guide steers the raft, allowing you to watch for wildlife on the riverbanks. A deep rumble echoes through the trees. At first, you think it’s a wildcat but soon find a troop of howler monkeys resting in the trees beneath the warm tropical sun. 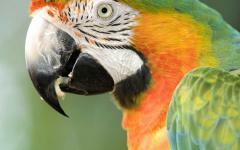 Their calls can be heard up to three miles away. 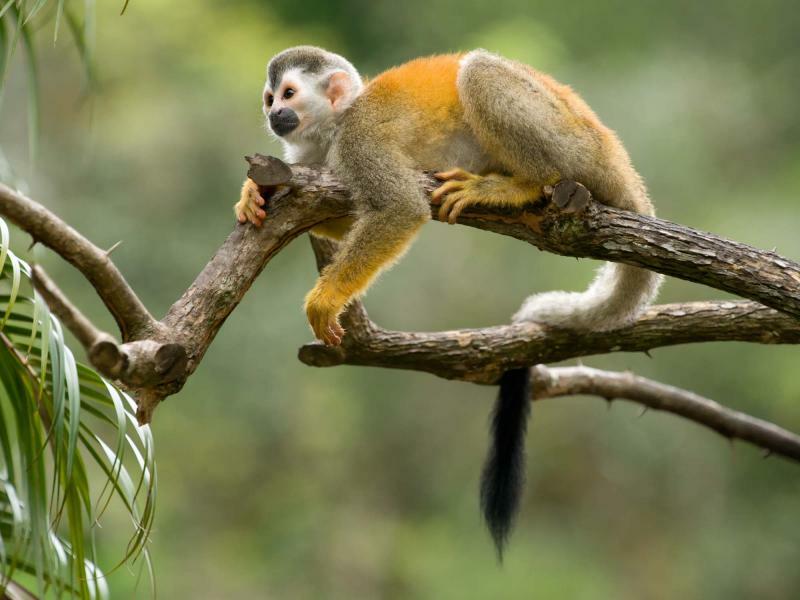 You continue down the water finding a family of white-headed capuchin monkeys, well-known for their tails which can grow to the same length as their 18-inch-long bodies. Wood storks perch on fallen trees and iguanas soak in golden rays of the drifting sun. Your guide points to a small lizard resting on a rock protruding from the water. As you inch closer, the green basilisk lizard scurries off the rock, running on the surface of the water to reach the edges of the river. You continue to the town of Nosara to your boutiqe hotel. Your private suite offers a spectacular view over the woodlands to the shores of the Pacific. You can relax in the romantic setting by watching the waves roll in beneath the rainbow hues of the sunset. In the morning, you enjoy the panorama of your room once more, soaking in the splendor of the mangrove trees that fill the private nature reserve connected to your hotel. The property encompasses 90 acres of protected land and luxurious infinity pools with views to the mangroves, hills, and sea. The day is yours to indulge in the comforts of the lodge and the surrounding splendor at your leisure. The perfume of pineapple and mango fills the dining room, blending with the subtle salty aroma carried in by the sea breeze. Local fishers stand on the shoreline and cast their lines into the Pacific. You retreat to the spa to indulge in the relaxation and romance of a couple’s massage and change into robes in the comfort of a private room. The spa offers the same gorgeous view of the coastline, and the aroma of jasmine and citrus drifts through the air as the massage begins. All the stress releases from your body as your shoulders relax and any lingering tension fades. The mixture of aromatherapy and the soothing hands of your masseuse offer the perfect tranquil setting to experience a couple’s massage at this escape into an oasis. After the massage, you can enjoy another private moment in the spa’s Jacuzzi, offering a spectacular secluded panorama of the mangroves as birds fly past the window. In the morning, you sit on your private balcony and sip freshly brewed coffee brought to your room at your preferred time. The aroma of dark chocolate rises from the cup and mingles with the herbaceous scent drifting from the mangrove forest. 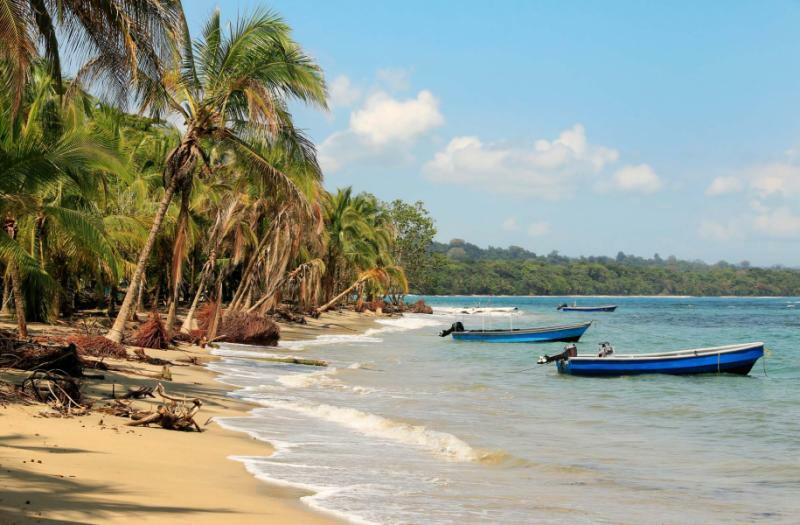 After breakfast, the day is yours to enjoy the marvels around Nosara at your leisure, choosing to partake in a surf lesson or snorkeling excursion along the pristine beaches near the sleepy town of San Juanillo. For a unique exploration of the waters, your guide leads you on an unforgettable stand-up paddleboard excursion through the mangrove forest. The calm waters carry a refreshing temperature that contrasts the tropical warmth. The Montana and Nosara rivers weave through the trees and empty into a tributary at Nosara Beach. You spend a few minutes getting acquainted with the technique of the board. You keep your feet parallel at shoulder width and grip the paddle with one hand firmly around the shaft and the second gripped over the top, shifting from side to side as to not steer yourself in a circle. Once on the canals, the board drifts peacefully through the forest, passing beneath tunnels shaped by the overarching branches. A cara cara spreads its wings above you as it rests on a tree, drying after the pre-dawn rain. The bird resembles a hawk but is actually a falcon, and is constantly searching the skies for carrion. Tiger-heron stand perfectly still near the banks of the canal waiting for you to pass, a technique they also use when hunting for crab and fish. Brown and white feathers create stripes and checkers along the bird’s wings. It is easy to fall in love with the grandeur of Nosara. At breakfast, you bask in the unfettered view of the coastline while sipping on fresh-squeezed orange juice. The early half of the day is yours to enjoy before meeting your guide in the afternoon to begin your romantic sunset horseback riding tour along the beach. Your guide introduces you to the horses, and you ride along the jungle trails leading you to a wide river. The calm water rushes past the hoofs of your horse as they traipse through the river kicking up water that splashes your ankles. Mango trees grow wild in the jungle terrain. You pass the pebbled banks along the river and reach the soft sands of the shoreline. The Pacific Ocean laps against the beach as you ride your horse along the waterline. The sun begins to set casting pink, scarlet, and orange hues across the sky. You dismount your horse to share in the sunset, taking the last opportunity to surprise your loved one by kneeling on one knee and proposing as splashing waves provide the perfect soundtrack. You can finally relax now that the secret is out. 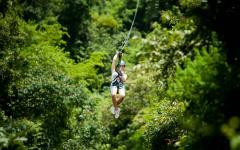 You have shared in the romance of Costa Rica and ensured a cherished vacation full of treasured memories. You take the time to bask in the tranquil morning on your private balcony. Parakeets call to one another in the returning bright light. They flutter their wings and fly away in groups, their twitters echoing over the mangroves. Your private transfer greets you at the hotel after breakfast and escorts you to the small landing strip of the Nosara Airport. A regional charter flight takes you on a quick journey back to San Jose and the Juan Santamaria International Airport where you have plenty of time to check-in to your flight home.